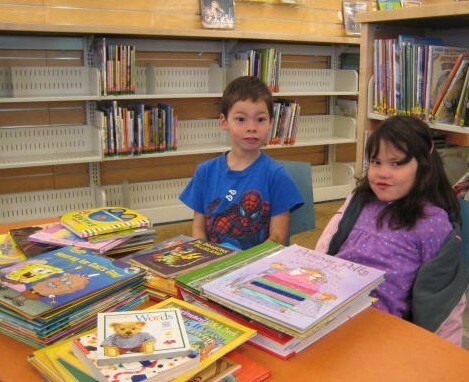 Twins Callan and Charlotte Chu had a special kind of party for their birthday recently–they asked their guests to bring books for the library instead of the usual kind of birthday present! It was wonderful the see the array of books that their friends had chosen. Now, everyone can share in the joys of their birthday–not just Charlotte and Callan. What a great idea–check it out! Our inaugural Paws to Read program kicked off on Monday and judging by the excitement of the kids, the adults, and the dogs themselves, it looks like we’ll have a pretty popular program on our hand. 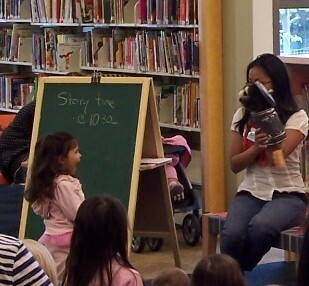 Festivities started at 6:30 when we matched up eager younger readers with their canine companion. For 25 minutes the kids got to read dog themed books to their new four legged friend. Afterwards, families were invited in to take pictures with their child and the dog. The end of my internship is both happy and sad. I’m sad to leave a supportive work environment. The friendly staff here encouraged me in any project or goals I set out to accomplish, and never failed to ask about school. Yet, I’m also extremely happy as the end of this semester marks graduation, and NO MORE SCHOOL!!!! I love public librarianship and currently work at Oakland Public and Alameda (City) libraries. My recent experience at CV has given me an introduction to a larger county system. In addition I was able to do all the fun children’s programming I don’t have the chance to do at my regular work places. I’ve already been able to use my experience here for my school portfolio, as well as in resumes! 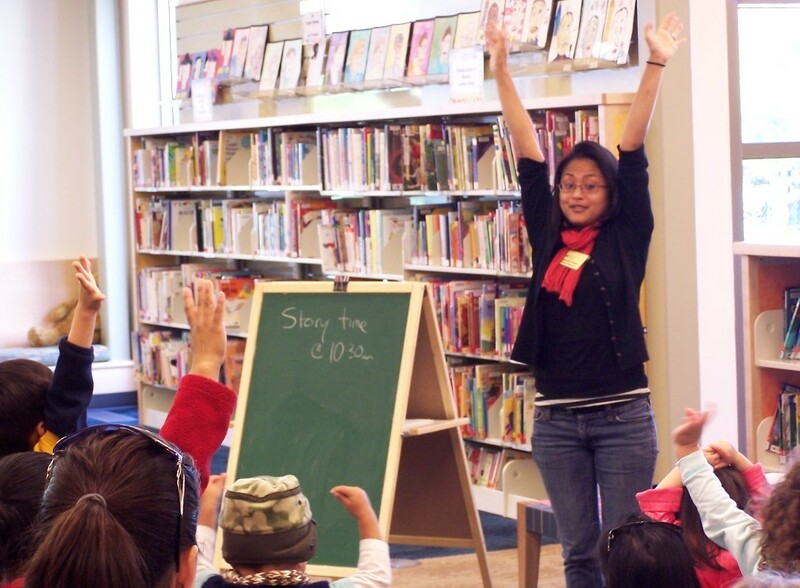 When Denise told me how many children came in for story time, I thought, “No way. Forget it!” Story time turned out to be a great opportunity to put into practice much of the knowledge learned from library school and Penny Peck’s classes. Combined with Denise’s sage advice, timely feedback from parents and guardians, and close observation of the little wiggly ones, I was able to survive. Thanks to all the staff, families, and kids that made this experience memorable.